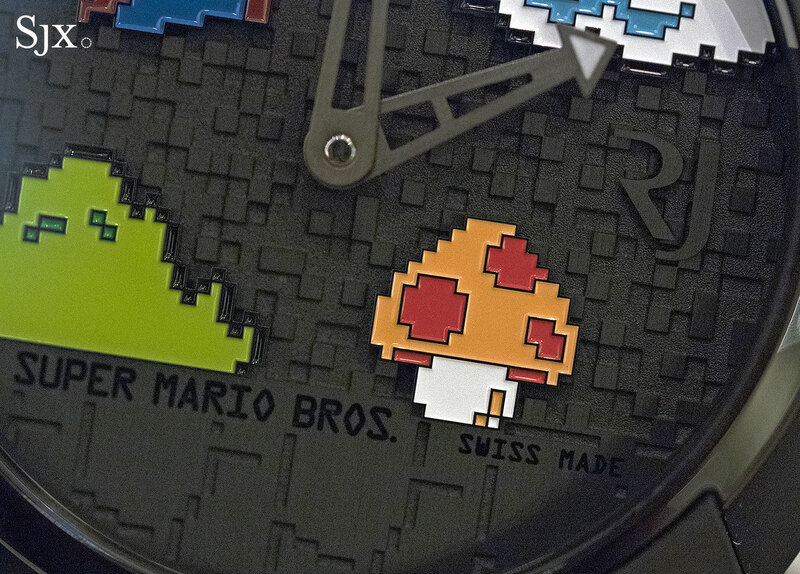 For the Grown Up, 1980s Child: Hands-On with the RJ-Romain Jerome Super Mario Bros.
A watch that evokes the 1980s for those who were young then, but are now grown up and well-off. Romain Jerome occupies a tidy little niche in watchmaking with its “Generational Icons” line of watches that feature themes from pop culture, most famously Batman. The line tends to emphasise the 1980s – the DeLorean-DNA watch exemplifies that- smartly catering to those who grew up in that decade and who can now afford pricey watches. With Pac-Man and Space Invaders having already made their way to the wrist, Super Mario Bros. was inevitable. 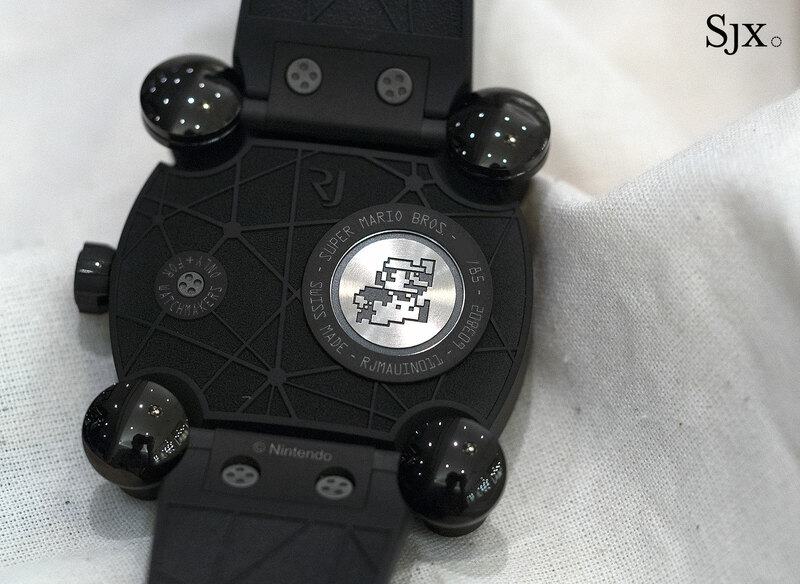 Introduced in 2015 for the Nintendo game’s 30th anniversary, the Super Mario Bros. wristwatch sticks to the same format as Romain Jerome’s other video game watch. The key feature of the watch is the dial that’s a canvas on which to paint nostalgia. 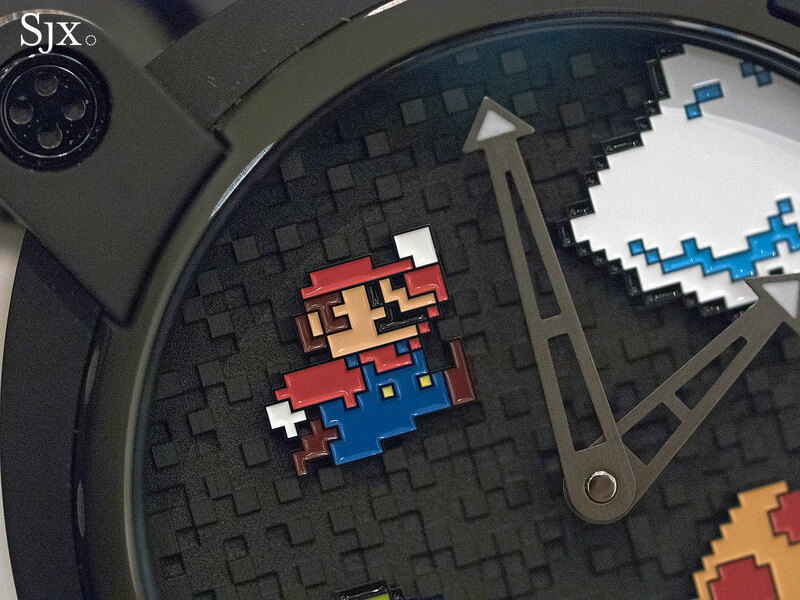 Textured to resemble pixels, the dial depicts the namesake Italian in blue overalls and other pixellated motifs from the game in bright, glossy lacquer. The dial decor is hand-painted, but craftsmanship is not the appeal. For those whose childhoods were inextricably linked to Super Mario, the leaping plumber brings back memories. This is a high-end toy, in the most complimentary sense. 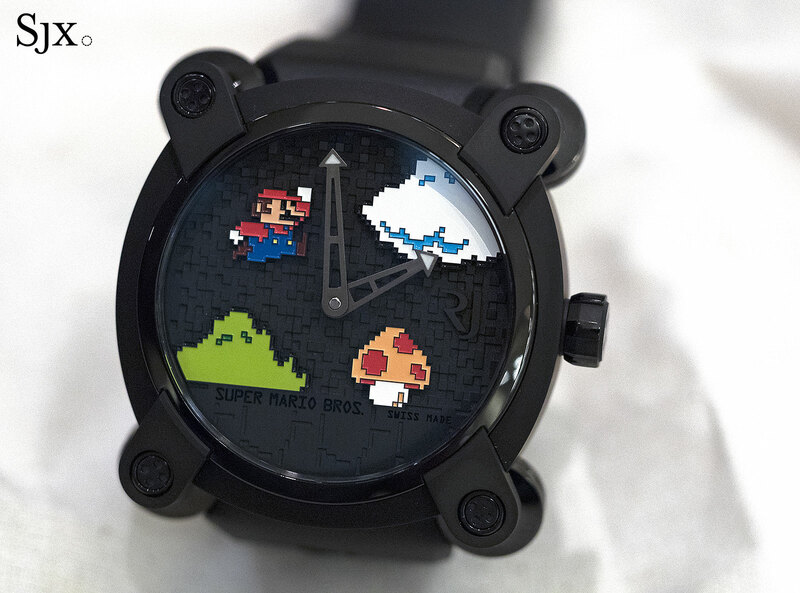 The Super Mario Bros. watch is suitably large for a video game timepiece, being 46mm in diameter. The case made of black coated titanium, which leaves it less heavy than it looks. And the rubber strap is attached via a ball and socket joint on each side that the watch sit better on the wrist, though it still feels a bit bulbous. Nostalgia, however, are precious. 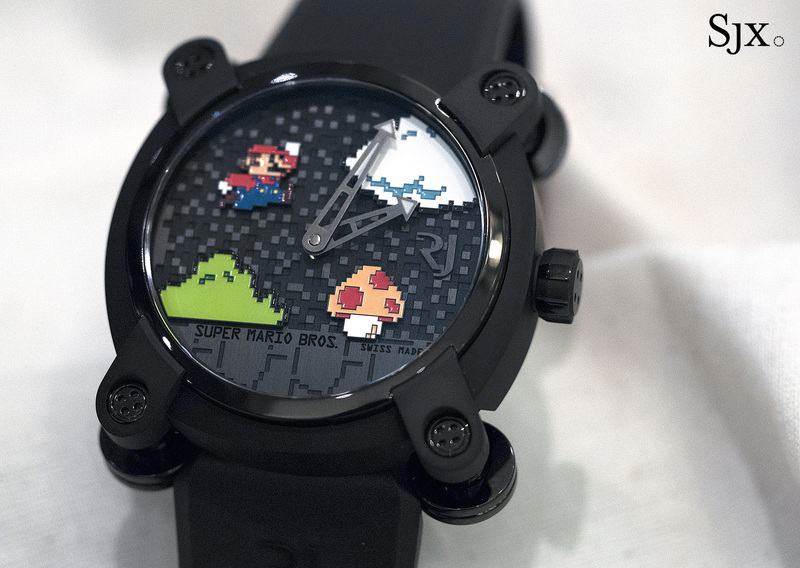 While the theme is whimsical, the Super Mario Bros. watch is priced seriously, with a price tag of US$18,950 or S$24,800. It’s a steep price to pay to evoke one’s childhood, but the edition is limited to 85 pieces anyhow.